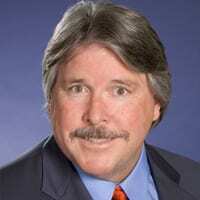 JOHN W. CHAPMAN was admitted to the California State Bar in 1988 after completing his Juris Doctor at Pepperdine University School of Law in 1987. While attending Pepperdine, Mr. Chapman spent a semester in London, England, where he participated in the International Moot Court Competition with the Inns of Court. He received his Bachelor of Arts from California State University, San Diego in 1984, majoring in English, history and political science. Mr. Chapman is a co-founder and principal of Chapman & Intrieri, L.L.P. Before obtaining his law degree, Mr. Chapman worked from 1977 to 1984 in the construction industry on many facets of both residential and commercial projects. This practical experience has proved valuable to clients when litigating complex construction disputes. Since his admission to the Bar, Mr. Chapman has specialized in civil litigation with particular emphasis and expertise representing Homeowners Associations as General Counsel. Throughout his career, Mr. Chapman has handled complex construction defect litigation, business litigation, environmental litigation, personal injury defense, products liability and premises liability actions. Mr. Chapman has tried cases in the real estate, construction, personal injury and products liability fields and has also represented a major multi-national chemical corporation in environmental and licensing disputes. He has been recognized as a Northern California Super Lawyer in the construction litigation field for the years 2005, 2006, and 2007. Mr. Chapman is admitted to all courts of the State of California and is a member of the Executive Council of Homeowners (“ECHO”) and the Community Associations Institute (“CAI”).